Miss me? No need to answer, I know you did J. Today I have a very simple and easy tuna casserole recipe I came up with for leftover macaroni and cheese. I am also making wall hangings using branches and macramé. I will post more on this on a later date. First, let me briefly tell you what my life has been like since my last article . We moved again, and at my age and my husband age (60 plus) that was very hard labor. Nonetheless, we got it done with the help a very nice and professional moving crew. It took a month and half the pack and another month to unpack and arrange everything. To say that we are done with moving is an understatement. We hurt for weeks. And, regardless of the darling lttle wicked rumors going around out there, our move was job related only. Anyway, here is my recipe for leftover macaroni and cheese. 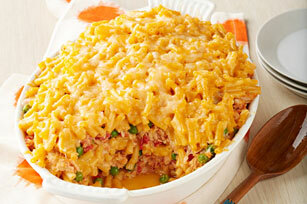 This recipe can also be used with a new box of macaroni and cheese tuna as well. Drain tuna and prepare cheeses and vegetable as listed above . Add all ingredients to leftover macaroni and cheese. Mix well. Microwave covered for 6 minutes on high. Stir to mix in melted cheese. Serve with fruit as side dish.